How will fewer houses support more jobs? New homes in Alnwick, but will new jobs be created too? Much has been made of the housing numbers in Northumberland’s new Local Plan, but the goals for job creation represent another crucial element. The first draft of the new framework, which went out for public consultation over the summer, includes policies and proposals to create up to 15,000 new jobs in the county – a quarter in dedicated industrial estates and office parks, but the majority in town centres or more rural locations. But while this is an admirable target for the 20-year plan period from 2016 to 2036, some are questioning the link between this increased jobs figure and the reduced housing numbers, when compared to the previous core strategy which was withdrawn last summer. Housing numbers have been much reduced from the previous plan with 17,700 proposed over the plan period, or 885 a year, down from 24,000 ‘after consideration of all of the up-to-date evidence on population growth and housing need’. 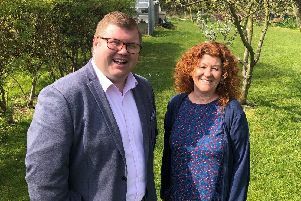 The Northumberland Business Network, a group on the business social-networking site LinkedIn with 1,800-plus members, has discussed the new Local Plan and the key issue in its summary feedback was the relationship between jobs and housing growth. It said: ‘Many questioned and failed to understand the relationship between the housing and economic growth forecasts. ‘Those that have compared the evidence that underpinned the previously withdrawn core strategy raised concerns about how 17,700 new homes can support the creation of 15,000 new jobs over 20 years when previously 24,320 new homes were shown as being required to support the creation of just 10,000 jobs. ‘In percentage terms, this suggests that a 50 per cent increase in what was already deemed to be an ambitious jobs target can be supported by 37 per cent less houses. It adds: ‘The level of jobs growth forecast is felt to be highly optimistic in the draft Local Plan and assumes that the council will be able to keep more of its own residents working in the county despite the demographics. ‘This in turn places a greater reliance on the quality of the new jobs being created and the associated training and up-skilling.